Prasanna Puwanarajah Joins The Guild As New Ambassador! 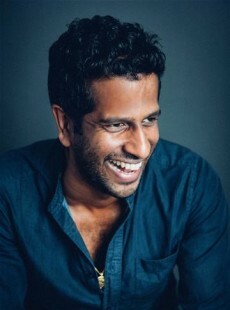 We are delighted to announce that Prasanna Puwanarajah has joined the Guild as our new Ambassador, and along with Gemma Arterton, Keira Knightley and Simon Russell Beale, will help to spread the word of our work as far and wide as possible. Prasanna studied medicine at New Oxford College and worked extensively in the NHS before moving into acting, directing and writing. His acting work includes roles for the National Theatre, RSC, Donmar Warehouse and the Young Vic, as well as in Doctor Foster (BBC), You, Me and the Apocalypse (Sky1/NBC) and Patrick Melrose (Sky Atlantic/Showtime). He has directed for High Tide Festival Theatre and the Bush Theatre, and his debut play as a writer premiered at the National Theatre in 2011. He is also currently a Trustee of the National Youth Theatre, Headlong, and the Criterion Theatre. You can follow Prasanna on Twitter at https://twitter.com/PrasannaBanana. We are a prominent member of Acting For Others, a network of theatrical charities.